for many roles within nursing. The need for nurses with a Bachelor of Science in Nursing (BSN) degree and advanced practice degrees is steadily increasing and the opportunities to practice in a wide range of settings continues to expand. The BSN is often necessary for administrative positions, and it is a prerequisite for admission to graduate nursing programs. 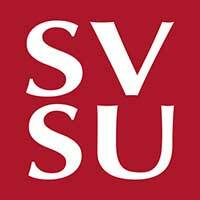 SVSU offers a Masters of Science in Nursing (MSN) for positions as a family nurse practitioner, educator, administrator, and clinical nurse leader and a Doctor of Nursing Practice (DNP) degree. Click on BSN link above to view requirements. Advising Dates. The ADN to BSN Concurrent Program student is one who is enrolled in Nursing (ADN)-Associate in Applied Science (AAS) courses at a partnership community college while taking SVSU RN to BSN courses concurrently. Students will complete their Nursing (ADN)-AAS degree while earning BSN credits, allowing them to complete their BSN from SVSU in additional semesters. Program information for licensed RNs who wish to obtain their BSN or their MSN in an accelerated program. This graduate program has four tracks: Family nurse practitioner (FNP), Clinical Nurse Leader (CNL), Nurse Administrator, and Nurse Educator. The Post-Graduate Certificate as a Primary Care Family Nurse Practitioner is provided in hybrid format for non-clinical courses and is designed for nurses who already have a graduate degree in nursing from an accredited program in another concentration, such as nurse educator, nurse administrator, or Clinical Nurse Leader. This certificate consists of 37 credits taken over 2½ to 3 years. A maximum of 12 equivalent graduate level credits may be transferred. The DNP program has been approved by the Higher Learning Commission (HLC). For further information please visit http://www.ncahle.org or call 1-800-621-7440.